The bottom blade stands the grass up and acts as a backstop while the cylinder spins round and snips the top of the leaf off like a scythe. 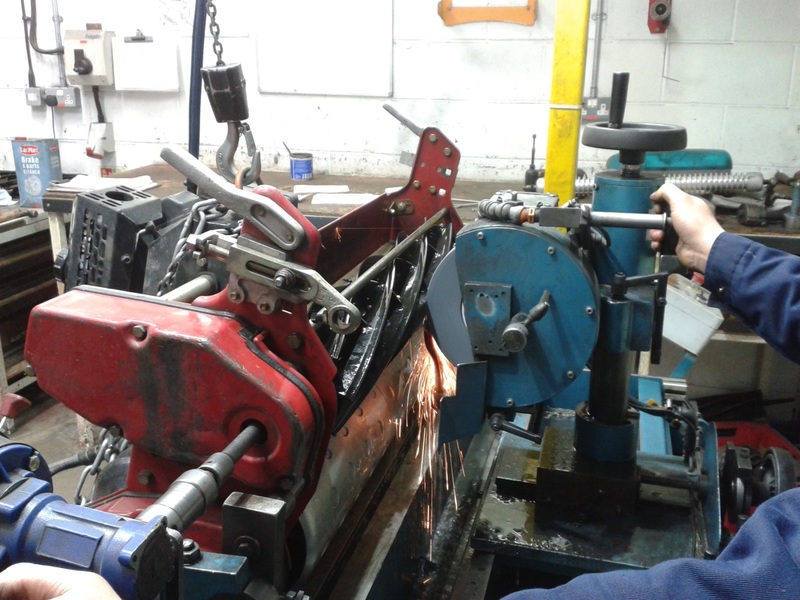 It is vital that our greenkeeping equipment is kept up to scratch at all times and one of the most important tasks for the Workshop team during the summer months is keeping our vast amount of cutting equipment razor sharp to give the best possible cut quality on our courses. Like painting the Forth Rail Bridge, this is a continuous process that sees most cutting cylinders sharpened approximately 3 times during the growing season. 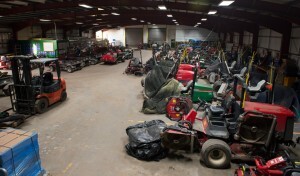 Here at the Home of Golf, between the ride-on greens, fairway mowers and our pedestrian mowers, the fleet has approximately 180 cylinders and bottom blades that require sharpening. 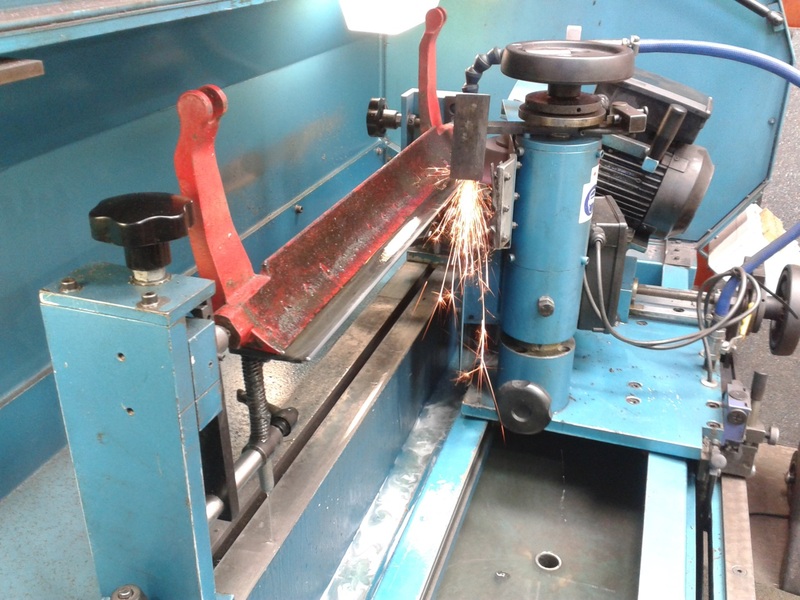 We have two machines that are used for sharpening pictured in the header image. 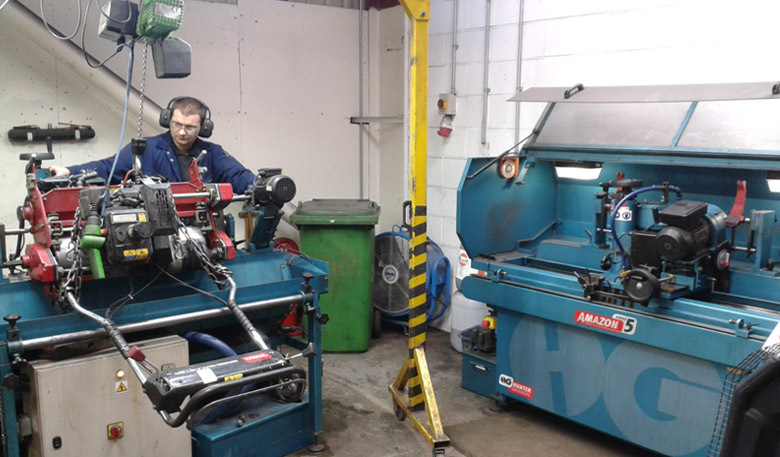 The machine on the left is used to sharpen the cutting cylinder and the one on the right is used to sharpen the bottom blade. It takes approximately 1 hour to fully sharpen a cylinder and bottom blade before resetting it so it’s ready to go. 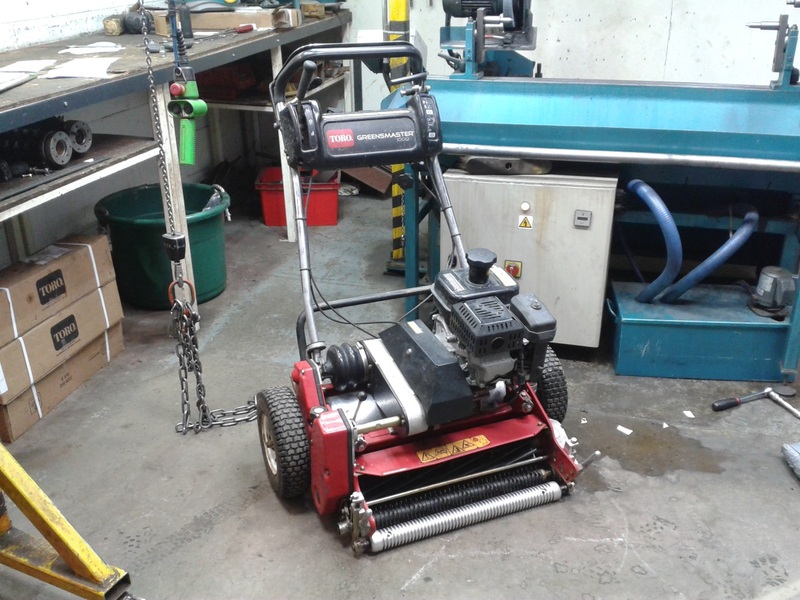 It’s important that cutting equipment is kept sharp as the cleaner the cut, the better the grass plant recovers. As well as looking ragged, a leaf which has been torn is more prone to infection and attacks from diseases such as Fusarium and Anthracnose. With most of the cutting taking place in the early morning when there is often a heavy dew on the grass, a mower which has gone “off cut” is very noticeable. Above you can see the blades of the cutting cylinder being sharpened individually. For sharpening to take place, the bottom blade is removed so that the mowing unit can be mounted ready for sharpening. 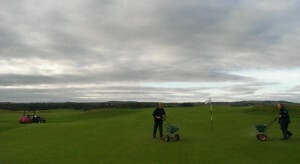 The method of grinding we use here at St Andrews Links is called ‘relief grinding’. This means each blade on the cutting cylinder is sharpened individually. Relief grinding also means that there is more of a gap immediately behind the leading edge which allows sand particles and other small items to pass through more easily. Sand topdressing is one of the main causes of cylinders becoming blunt. In fact, we keep an old set of units (blades) specifically for using the first couple of days after topdressing to protect the regular ones. Above shows the bottom blade being sharpened. Interesting fact: Most people probably think that the cylinder and bottom blade work together in a scissor type manner. In actual fact, in a mower which has been set up correctly the two shouldn’t touch – there should be a gap of 1,000th of an inch. Instead, the bottom blade stands the grass up and acts as a backstop while the cylinder spins round and snips the top of the leaf off like a scythe.